Writing emails, sending texts or chatting with friends for hours, you're good at typing! But how fast are you really? 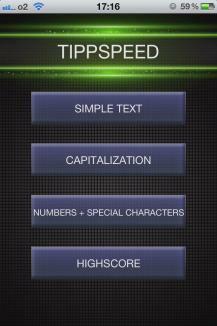 Test your skills and push yourself to the limit with our Tippspeed-App! In the three categories "simple text", "Capitalization" and "Numbers+Special Characters" you can prove your skill and share your achievements in a worldwide highscore with many other users. 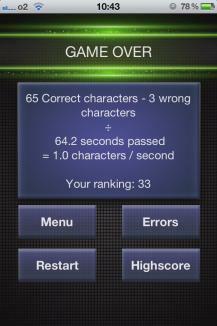 Or take turns with friends and see who types more characters per second. Whether you play alone or with friends, our Tippspeed-App, with its funny and entertaining facts, is sure to entertain you and your friends. 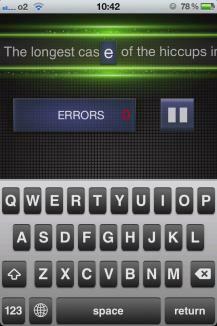 Get the Tippspeed-App right now and start training your fingers.